Bus only lanes downtown, seen here on Washington Street, are expected to ease congestion. On a busy day it can sometimes be faster to walk across the Loop, Chicago’s downtown transit hub, than to take a bus. That could change next year once construction on the $33 million transportation infrastructure project dubbed “Loop Link” is complete. City officials say that the project to bring Bus Rapid Transit (BRT) to the Loop will eventually increase bus travel times by 25 percent on six separate routes. Construction began in earnest on March 16, with the city’s Department of Transportation (CDOT) closing lanes on westbound Madison Street and southbound Clinton Street. 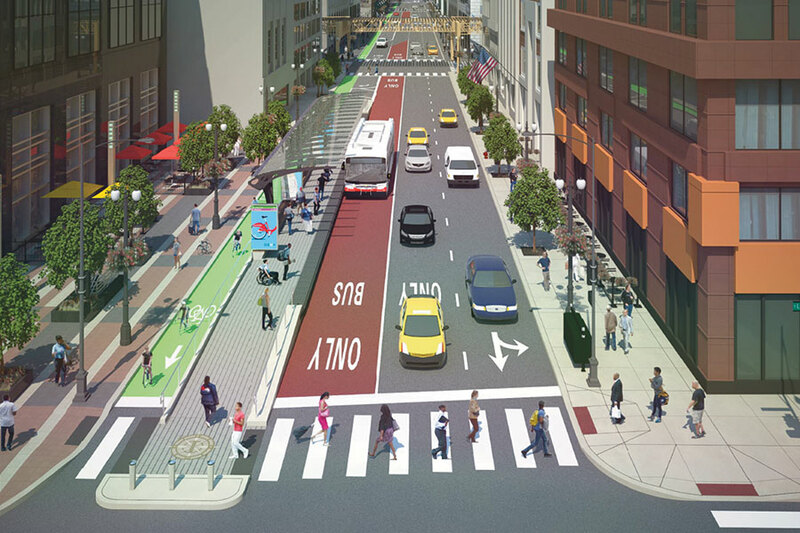 In total, the city will be installing two miles of express lanes, marked by red pavement and the words “bus only,” on Washington, Madison, Clinton, and Canal streets, which cut through the city’s busiest commercial district and bypass the Ogilvie Transportation Center and Union Station. 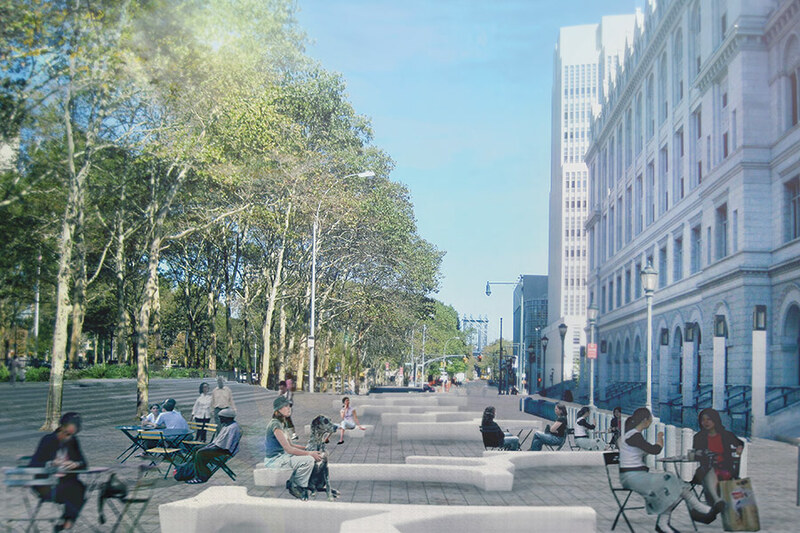 The street redesign will also include the addition of pedestrian islands separating car traffic from the bus lane, and a new protected bike lane on Randolph Street to replace the westbound lane currently on Madison. Washington and Clinton streets are also slated for new protected bike lanes. 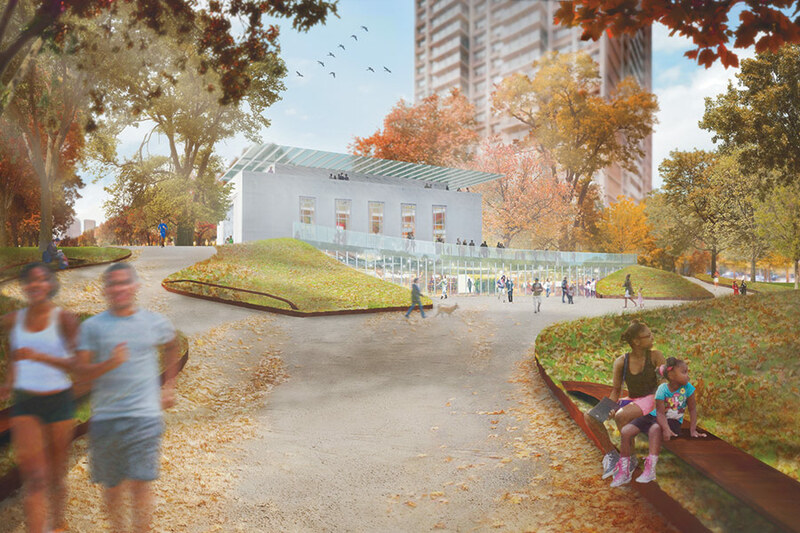 Rendering of a BRT station. City officials are touting the scope of the project, which could improve the commutes of thousands of regular bus commuters and reduce confusion among motorists, cyclists, and bus drivers, who currently must navigate shared lanes on some sections of those streets. Michael Claffey, a CDOT spokesman, points to the Jeffrey Jump—an express bus that runs from downtown Chicago to the South Side neighborhood of South Shore—as a prime benefactor. “During the evening rush-hour, it currently takes the Jeffrey Jump about as long (16 minutes) to get across one mile of the Loop as it takes to make the seven mile journey from downtown to 67th Street,” explained Claffey in a statement. Funded through a combination of federal grants and local Tax Increment Financing, Loop Link is one in a series of ongoing projects to modernize the Loop’s transit systems and accommodate its continued residential and commercial growth. 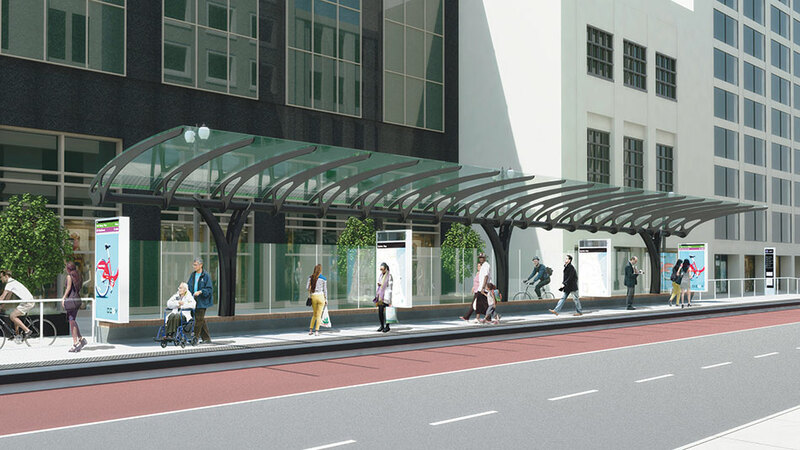 The Chicago Transit Authority is currently building a new “superstation” to replace the now-defunct Madison and Wabash train stop, as well as the stop at Randolph and Washington. 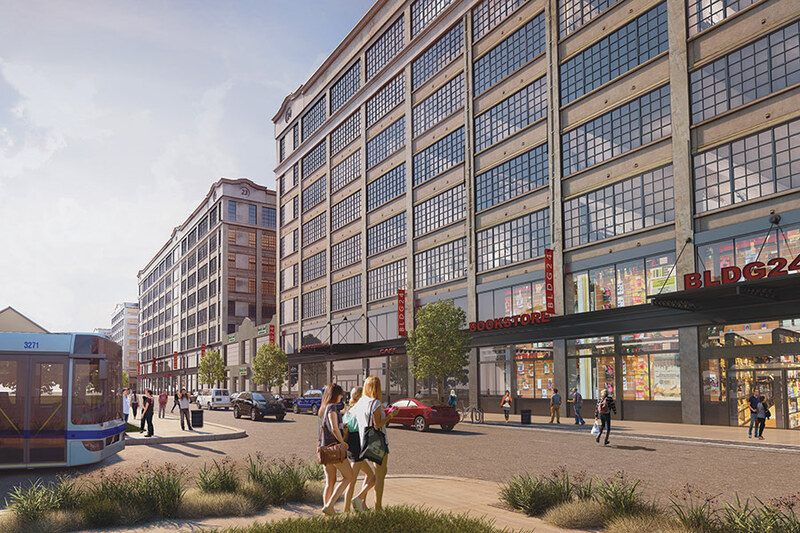 The local community group the Loop Alliance is spearheading an effort to increase business development on Wabash Avenue and increase tourism. The Loop is also one of the few Chicago neighborhoods to see a significant population increase over the past decade, with more residential high-rises being constructed or redeveloped. 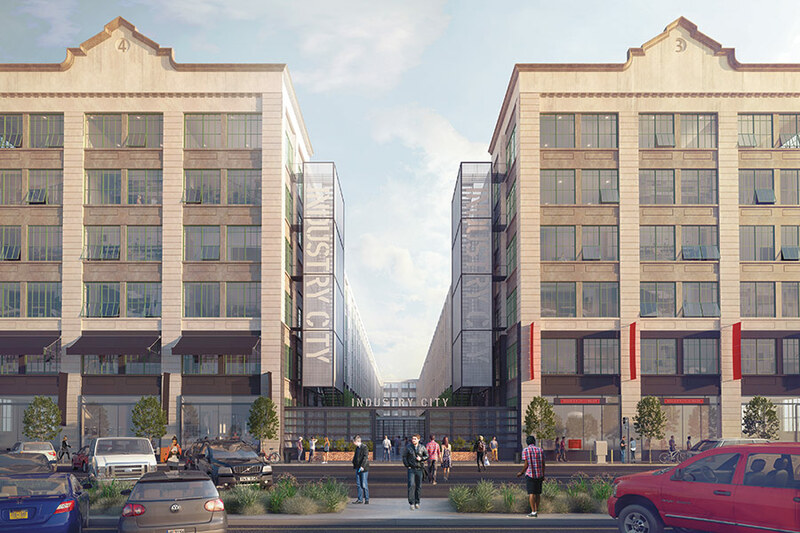 As the trajectory of manufacturing changed course, so did Industry City. Today, the halls of the once bustling “city within a city” are quiet, occupied by a few light manufacturers, small companies, and food suppliers that have set up shop over the last year or so. 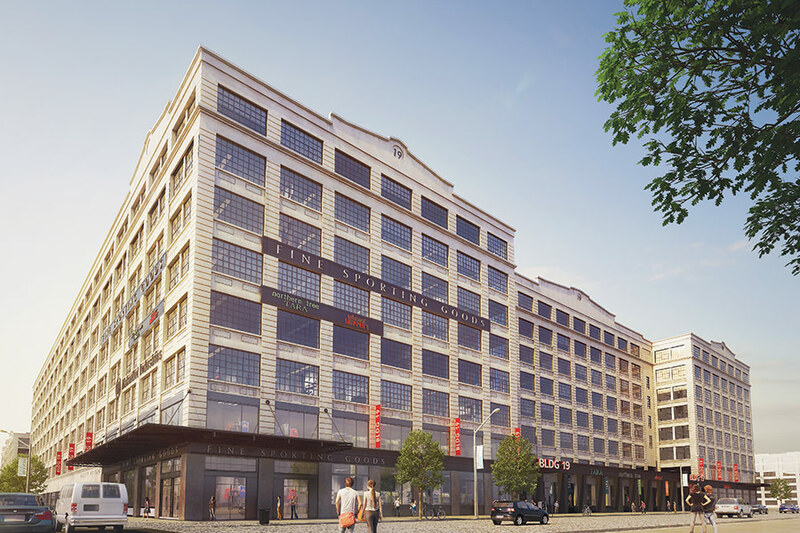 The recent activity in the building—850,000 square feet of the property have been leased—was spurred by a $100 million investment in 2013 by the team behind Chelsea Market: Jamestown Properties, Belvedere Capital, and Angelo, and Gordon & Co. 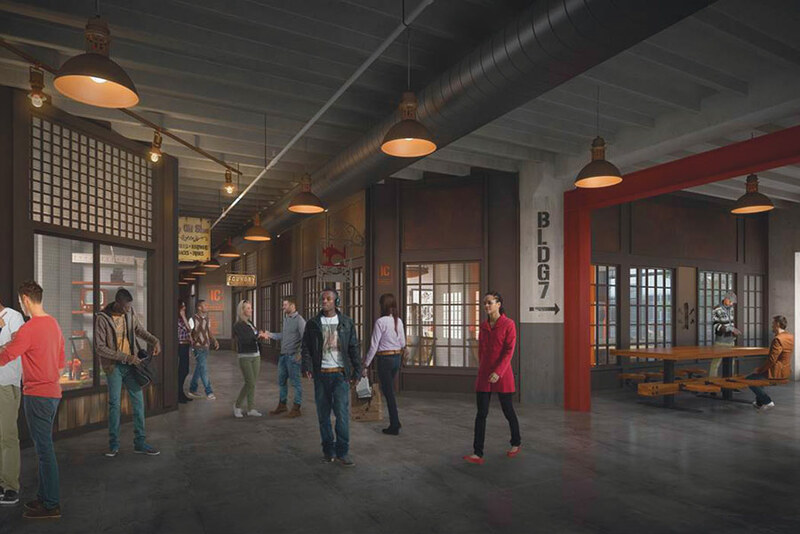 The massive Sunset Park complex is slated to become an “innovation hub,” reinvigorating the industrial strip along the waterfront. 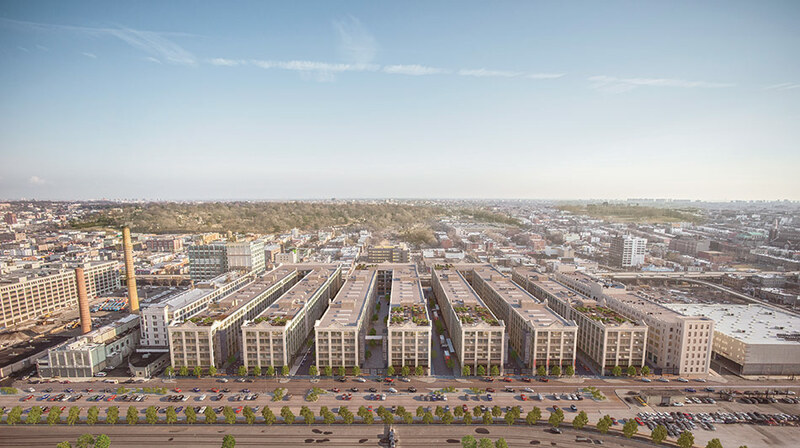 Now, the development team has announced plans to pour an additional $890 million into the complex, turning it into a so-called “innovation hub,” creating more than 13,000 on-site jobs over the next 12 years. To bring the century-old buildings back to life, the development team will replace 18,000 windows, 144 elevators, and spend $30 million in electrical upgrades. There will also be new raised sidewalks at the complex, and a walkway that runs through and between all of the buildings. 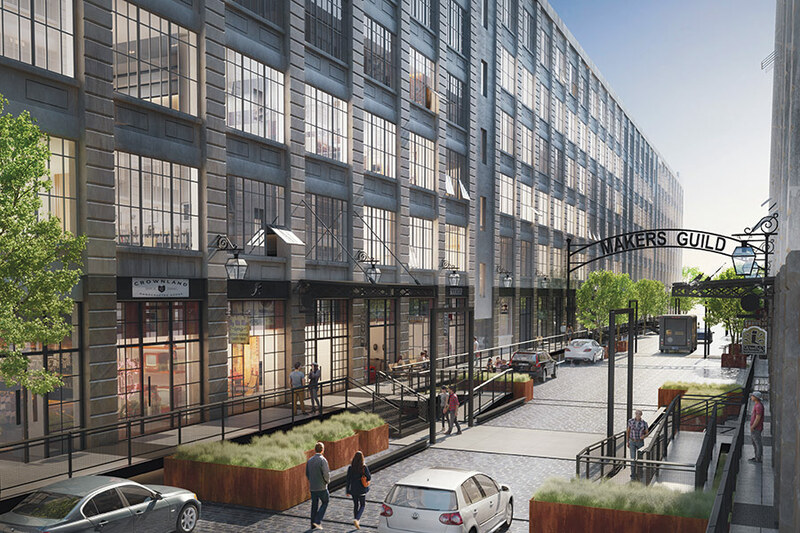 When complete, two-thirds of Industry City will be geared toward “innovation,” while the rest of the complex would house academic institutions, warehouse facilities, and retail. 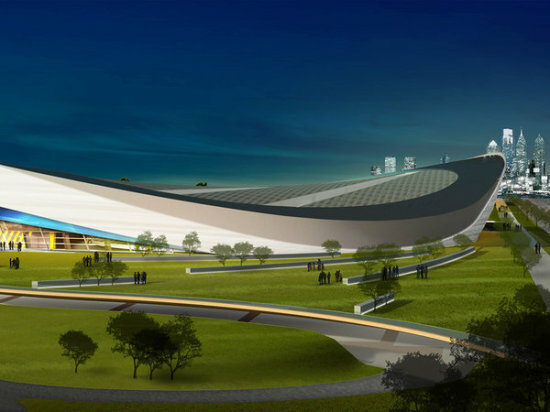 There are also plans for a hotel and a significant new surface level parking lot at the site. Kimball dismissed this characterization. “It is an amazing time for New York in the sense that people care about making things, a lot of those people tend to be young, and if you want to call all young people hipsters, that is a pretty easy thing to do,” he said. Kimball reiterated that he is working closely with local partners to get the community involved and hired at Industry City, where jobs, he said, will pay significantly more than typical service sector positions. The plan is being privately funded, but the developers are looking for over $100 million in public funds for infrastructure and transportation upgrades, including new bike lanes. 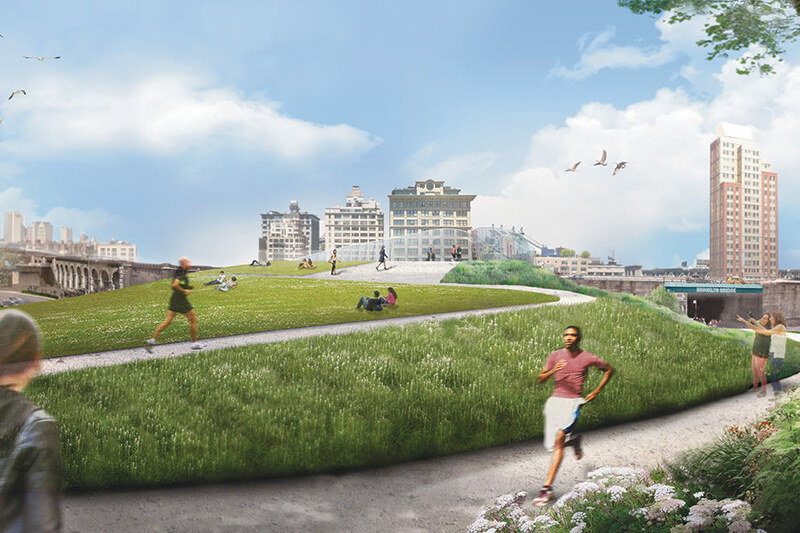 Kimball also wants the city to invest in public realm improvements underneath the Gowanus Expressway, which separates Industry City from much of Sunset Park. 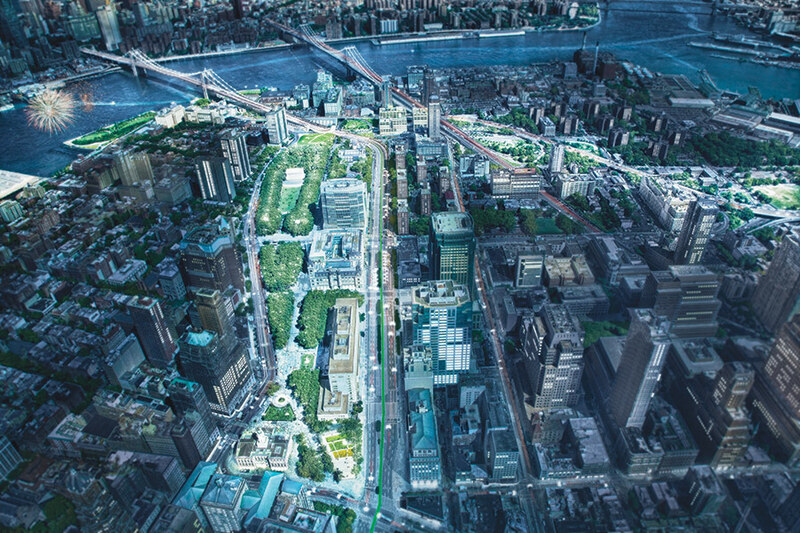 For the massive project to move forward, the site—which is still zoned for heavy manufacturing—must go before a public review process and receive a zoning change from the de Blasio administration to allow for certain commercial uses. Work is underway on Detroit's first protected bike lanes, which will shelter cyclists with buffer zones and bollards along Jefferson Avenue in the historic Jefferson-Chalmers business district. According to Streetsblog the project will start with only seven blocks, but a second phase will extend it three miles to Grand Boulevard. 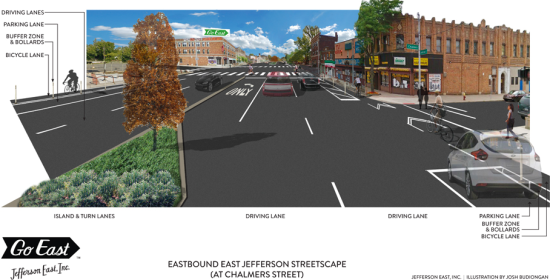 Parked cars will block bike riders from traffic along the busy street, which is the target of a road diet funded with public money and led by Jefferson East, a neighborhood-based community development corporation. The city gathered money from the Southeast Michigan Council of Governments, the Community Foundation for SE Michigan, the Kresge Foundation, and the DTE Energy Foundation. The project is part of broader plans to update to Detroit's transportation infrastructure, which include buffered bike lanes in Midtown and millions of dollars in non-car “enhancements” funded by Michigan's Department of Transportation. 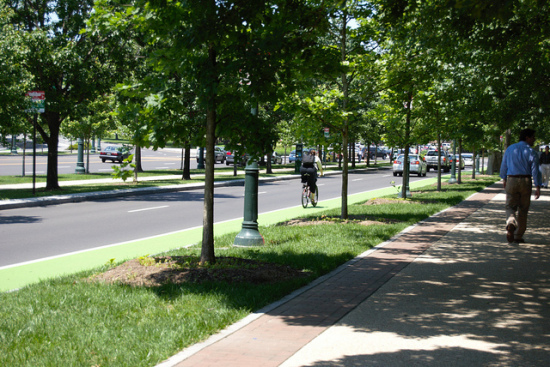 The Motor City added 50 miles of bike lanes in 2013. 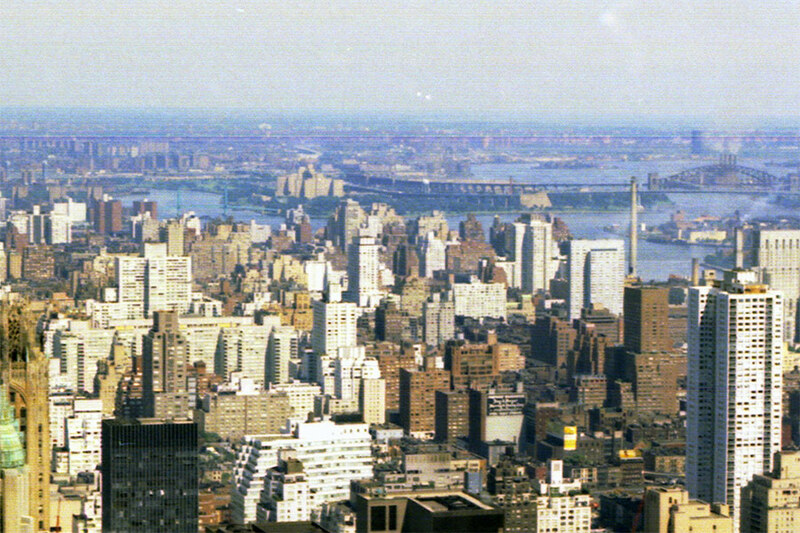 New York City in 1967. The City of New York that John Lindsay governed in 1966 was a very different one from the one we live in today. It was still reeling from the loss of its middle class to government subsidized suburbs, its infrastructure was crumbling, and there seemed to be few new ideas about how to deal with these issues and move forward. But the Lindsay administration, as Ada Louise Huxtable wrote in 1974, “occupied the historic moment when the [planning] profession was beginning to make itself felt,” when the city was “lavishing care, quality, and sophistication on the design of new buildings and urban landscapes.” He founded The Urban Design Group, one of the first design-led organizations that attempted to come up with public policy for urban space inside a government agency. The Group, for example, organized and catalogued the city’s complicated and overlapping infrastructure for the first time in a series of beautifully designed books. It made public service compelling for the first time for professional designers. It is hard to imagine any of the design-led non-profits that proliferate in this city without the early efforts of the Group. Before the Lindsay administration, the last urban agencies in the United States to attempt to plan or design urban space was Franklin Roosevelt’s New Deal and the multiple agencies under the direction of Robert Moses. Moses’s idea about transportation in the city, for example, was to make its city streets as accommodating as possible for the automobile. The thinking was that everything should be done to allow the car to move through the city as quickly as possible. This model has had a vice grip over New York transportation planning since the 1920s, but Lindsay’s administration began carving into it with bicycle lanes taking over the streets for the first time. 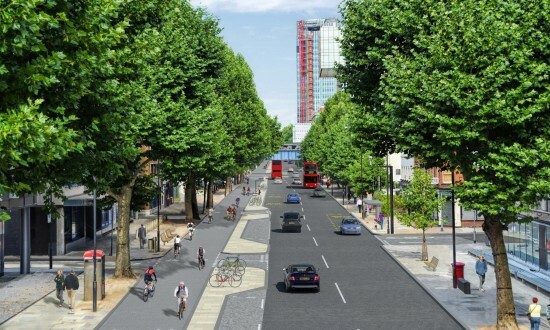 It was an obvious example of designers thinking about how to make a city with cleaner air and one that is fitter and more livable. There are many photos of the glamorous mayor biking around town in his suit and tie. But when Lindsay left office in 1973, the following administration, as critics like Yonah Freemark pointed out, slowly strangled many of his and the Urban Design Group’s ideas. The first bicycle lanes were removed during the Beame, Koch, and Giuliani administrations. These mayors, who knew that businesses did not like them blocking their curbside pick up and drop off lanes, went back to the Moses model of thinking and acting only for the automobile. Even city parks, on which Lindsay had published a white paper in 1965 in which he promoted them as sites for happenings and anti-war speeches (some of which he delivered), were slowly disregarded and left to flounder. Who can ever forget the ham fisted redesign and closure of Tompkins Square Park under Mayor David Dinkins that led to days of rioting in the East Village? Its is fair to say that this lack of thinking about public space and infrastructure that marked the post-Lindsay administrations of New York came to a dead stop under Mayor Michael Bloomberg. Not only did he hire public officials who made the connection between policy and actual physical design, but he allowed them the freedom to make changes based on a newer model of urban living that tried to tame the automobile and think about the act of living in the city. The streets, for example, were rethought, and where there were triangles of leftover, barely used carriageways, they became hard-surfaced parklets. Bicycle lanes were laid down all over the city and, of course, the bike share program took off like a rocket. 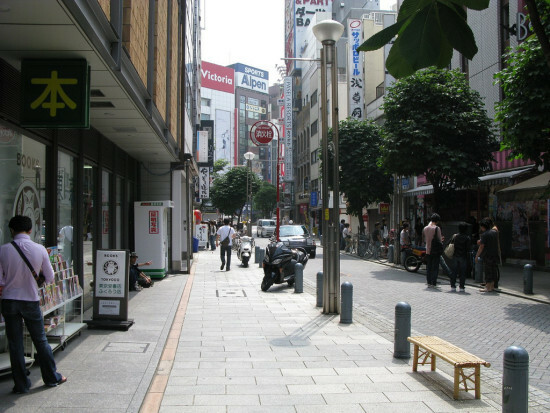 Streets were no longer only for the automobile, but became shared spaces for pedestrians and bicycles, and sometimes places for tables and chairs. 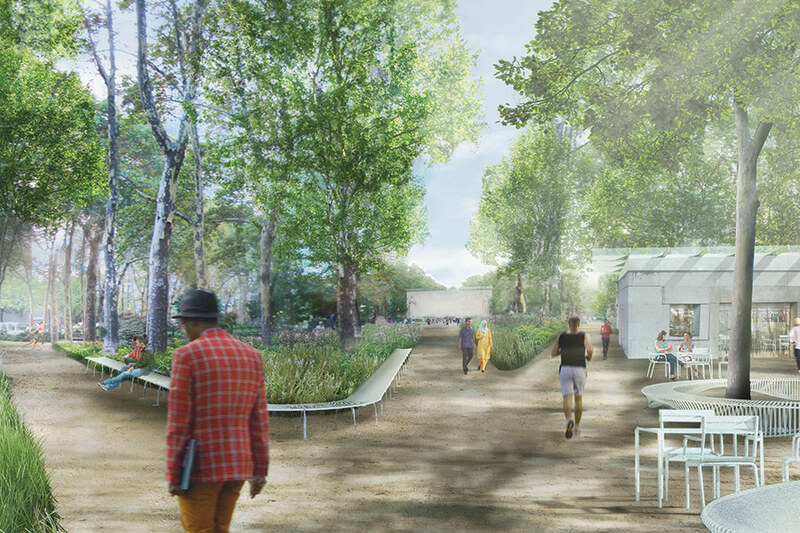 But what about Bloomberg’s urban design legacy of improved parks, streets, and infrastructure? Will it go the way of Lindsay’s? 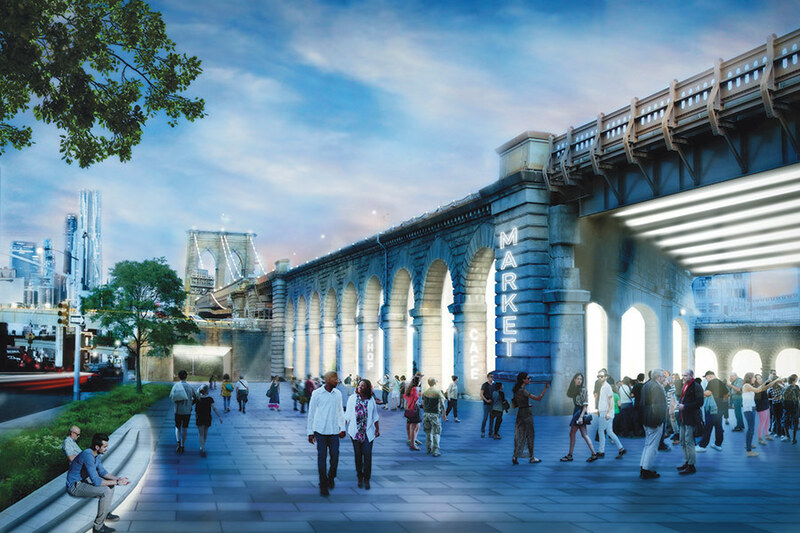 We have been critical in past editorials on the funding mechanism for spaces like the High Line and Brooklyn Bridge Park, but now they are there and should at least be maintained and improved. And as former New York City parks commissioner Adrian Benepe wrote, the Bloomberg administration put money into parks all over the city—not just Manhattan. It may be that de Blasio needs to stay focused on equity and affordable housing and to meet his laudable goals for this city, but lets just hope that he also thinks about the impact that construction and these improvements will have on the future livability of the city.